At the 2018 D23 Expo Japan, it was announced that Walt Disney Studios Park’s “Rock ‘n’ Roller Coaster Starring Aerosmith” (at Disneyland Paris) would be transformed into a Marvel’s Avengers-based roller coaster where guests would team up with Iron Man. At that time, fans received a targeted opening date from Disney of 2020, but haven’t received word on when “Rock ‘n’ Roller Coaster” would be closing. According to reports including an internal document for Cast Members, the attraction featuring Aerosmith will close on September 1, 2019. 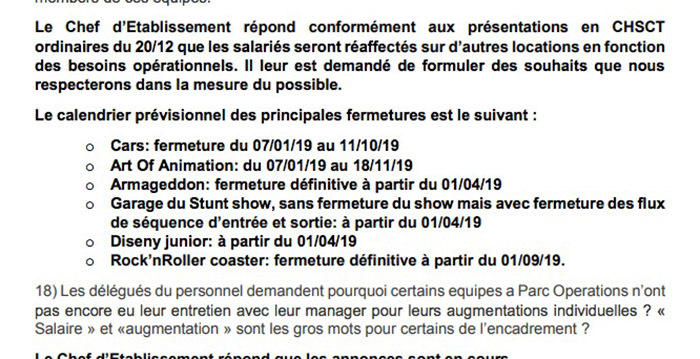 This document also reveals “Armageddon Les Effets Speciaux” would be closing on April 1, 2019. Disney has yet to confirm this, but we expect an official announcement sometime in the near future. I’m very sad to see both these attractions go. Armageddon was the first attraction I experienced at the Studios park and I vastly prefer Rock ‘n Roller Coaster to Space Mountain: Mission 2. But as a diehard Marvel fan, I’m intrigued to see what will replace them!